So many students continue mastering their crafts beyond St. Luke's. Some pursue art studies and then careers. Others take a different journey but manage to keep a toe in creative waters. Margot is currently pursuing a Bachelor of Music degree in Violin Performance, with minors in English Literary Studies and Political Science. While at St. Luke's, Margot also studied at the Manhattan School of Music. 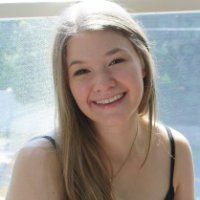 At Vanderbilt, Margot was awarded the Laura Kemp Goad Honor Scholarship in 2015, an annual award based on merit given to a student in the Blair School of Music at Vanderbilt University. Margot also performed throughout Florence, Italy, and Alba while touring with the Florentia Consort. She also studied Italian Renaissance history and its relation to Renaissance music. Will be adding additional featured alumni artists.